Tofu can be totally delicious, but you need to know how to use it. Here, seven super-smart tips from star chefs and F&W’s Test Kitchen on cooking with tofu. 1. Skip the store-bought stuff. DIY tofu is miles more appealing than store-bought. It’s easy to make and the result is nearly as indulgent as foie gras (but a lot lighter). Try super-soft or firm versions. 2. Flavor-blast it. Chef Corey Lee makes his homemade tofu with mustard as well as traditional accompaniments like sweet miso and sesame. 3. Use it in a dip. 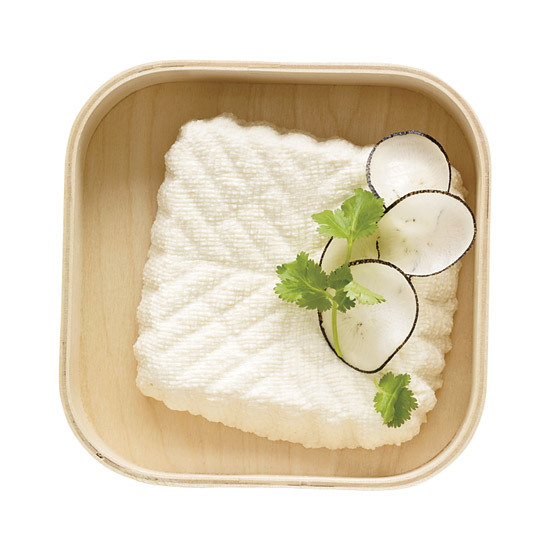 Silken tofu’s exceptional custardy texture makes it the perfect base for a great, healthy dip. This one, which also incorporates avocado and curry spices, is a great place to start. 4. Think global. Tofu is delicious in so many non-Asian foods. Try it Italian-style with tomatoes, white wine and basil, Tex-Mex-style in a chili or Creole-style stuffed with hot sausage. 5. Treat soft tofu like eggs. Creamy soft tofu is an incredible substitute for eggs. Try stirring it with mayo, mustard, chives and crunchy celery for a delicious faux egg salad, or scrambled with potatoes, mushrooms and peppers for a delicious and super-simple vegetarian breakfast. 6. Drain before grilling. If you don’t thoroughly drain and press firm tofu before grilling it, you’ll wind up with bland, flavorless and soggy tofu. Make sure to press the excess water out before crispy the tofu up on a grill. Then use it in these amazingly smoky vegetarian tacos. 7. When in doubt, fry it. Let’s face it, frying makes anything taste delicious and tofu is no exception. Try it savory in this crazy-crispy recipe from Bill Kim or sweet in this unusual but terrifically delicious take on beignets with raspberry dipping sauce.